Are you about to make a move into a new living space? Will it be bigger, smaller with the same size as the place you’re currently living? Regardless of the square footage, you would be well served not to move any old junk with you into your new space. Too often, people get caught up in packing and think they’ll throw out what they don’t need when they get to the other side. Then they end up with boxes full of rubbish that are taking up valuable storage that they never get around to throwing out. 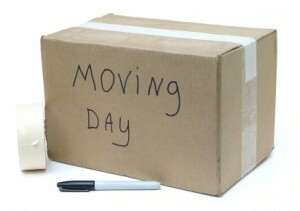 The smartest thing you could do for your next move is to move out the clutter with help from Junk King Salt Lake City. Junk King Salt Lake City will dispatch a team of dedicated movers to your current property. Once they get there, you’ll show them all the things you want to get rid of. It doesn’t matter where you’re keeping something. It can be up in the attic or down the basement. Junk King will climb the stairs as many times it takes to get that stuff taken away. This is your chance to get rid of that old futon or mattress. You certainly don’t want to bring that to a new home. The same can be said for things like an exercise treadmill that nobody uses, clothing you’re not going to wear or other household goods that are simply taking up space. You might actually end up with it half a truck full of stuff to get rid of. There’s nothing wrong with that. But think for a minute if you had to load all of that want to your moving truck. That might push out some of the stuff you really want to take. That’s why you need to turn that over the Junk King Salt Lake City. It’s also how you’ll be priced. Junk King has a pricing policy that is based on how they pack the truck. The less room to take up the less you’ll pay. If a lot of things you want to get rid of still have some life left in them, then you can count on junk King to make sure it is donated to a charity. They don’t like to see anything go to waste any more than you do. Start your new life in a new home free of old clutter thanks to Junk King Salt Lake City. This entry was posted in Salt Lake City Junk Removal and tagged junk king, junk removal, move on October 23, 2017 by Junk King. Last updated October 23, 2017 .